Cabinet Committee of Andhra Pradesh has decided to roll-out a new scheme named AP Mukhyamantri Yuva Nestam – Unemployment Pension Scheme. Under this welfare scheme, all the unemployed youths in the state will get Rs. 2000 (revised in budget 2019-2020). A new platform for Yuvanestham will be launched and this platform will also link to Skill Development. Around 12.26 lakh jobless candidates will get benefited from this unemployment dole. Latest Update – Skill Development Training Program under AP Nirudyoga Bruthi Scheme / Mukhyamantri Yuva Nestam Scheme to start from 10 December 2018 at 555 centers across the state. Update – Make AP Mukhyamantri Yuvanestham Scheme Online Registration to get Unemployment Allowance of Rs. 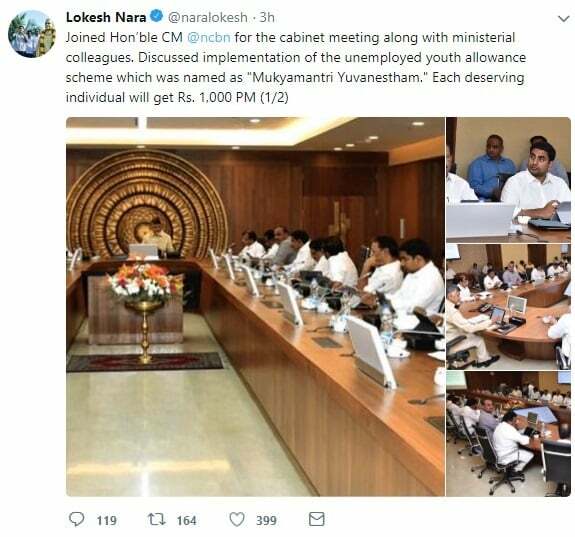 1,000 p.m.
Lokesh Nara, Minister for Panchayat Raj, Rural Development, ITE&C, Govt of AP has given this information on his twitter handler @naralokesh. Now the youths can renew their hope for a bright future. All the unemployed youths in the age group of 22 to 35 years will be eligible for this CM Yuvanestham Unemployment Pension scheme. Each eligible candidates will get Rs. 2000 as financial assistance from the AP government. AP Mukhyamantri Yuva Nestam Scheme will benefit around 12.26 lakh jobless candidates who are consistently working to get a suitable job as per their degree. The state govt. will start disbursing the amount of unemployment allowance after 15 days directly into the bank account of the youths under AP Mukhyamantri Yuva Nestham Scheme. All such candidates who are currently paying Provident Fund will not be eligible for Yuva Nestam scheme. Govt. will make available the data of unemployed youths to industries and youths which are searching for new talent. However as soon as the candidates get job, this unemployment allowance will be ceased. The state cabinet has also decided to fill 20,000 job vacancies, 9000 teacher posts and various vacancies in other departments. education details not accepting, how can we upload details. website is incomplete, not working. I COMPLETED MY M C A BUT DONT HAVE JOB. PLEASE GIVE ME THE Mukhyamantri Yuva Nestam ADD TO ME Unemployment Pension Scheme. But where is the link sir……? sir,the link e-pragati.in was not open can u tell me their is any other link for online registration for mukyamantri yuva nestham sceme..thank you. These are Election Stunts and Gimmicks, After Elections No Payment will be made, because he will say, He will send to Training instead of giving Money, and Low Class Training Centers will make money by giving Commission. 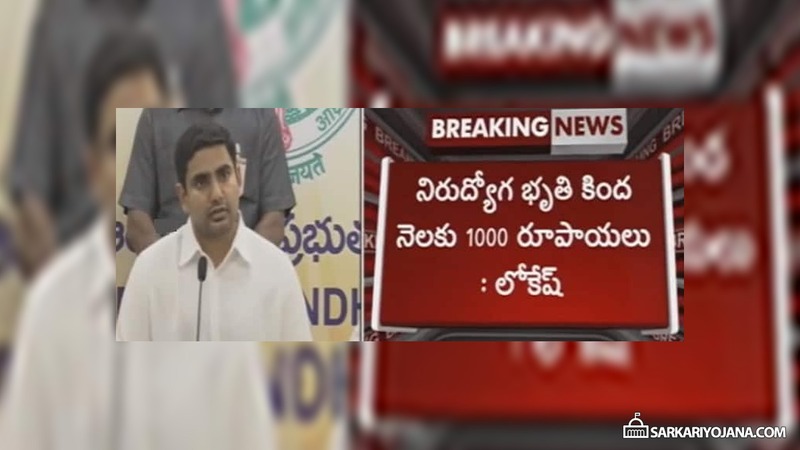 Cannot Trust U-Turn Specialist Mr. Chandra Babu Naidu.